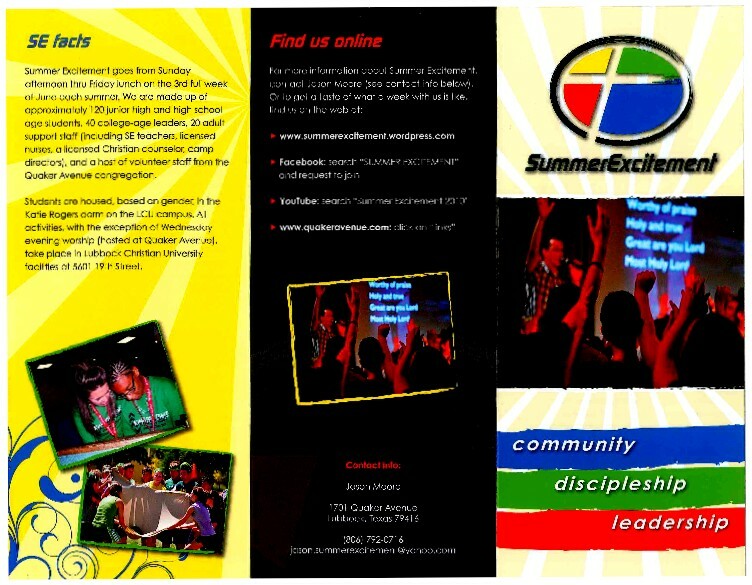 Summer Excitement is a leadership training school and summer youth camp that exists to disciple junior high, high school, and college age youth so that they enjoy Christian living, disciple others and become dynamic leaders for Christ. At Summer Excitement students thrive in small groups called “families,” through which they process nearly every experience. Summer Excitement is very relational and wildly fun! Interactive classes in the mornings, Wild-n-Crazy Games in the afternoon, dynamic worship experiences at night — through creative and fun events such as these, students are drawn closer to Christ and to one another. Summer Excitement has been ministering to youth since 1985, and its 35th year promises to be as exciting as the previous 34! 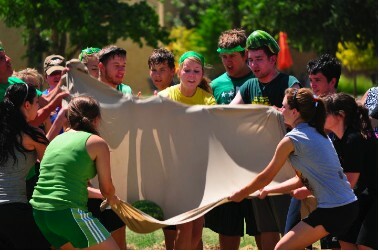 We look forward to seeing over 120 fun-loving, God-pursuing, junior high and high school age students arrive on the campus of Lubbock Christian University, our host for the week, on June 16-21, 2019. This year’s theme is “verified”. Registration begins every year online on April 1, at this website. Simply click on the link in the upper right-hand corner entitled “STUDENT REGISTRATION.” Tuition of $295 includes 15 meals, 5 nights lodging, a t-shirt, and a wide-variety of faith-forming activities. Early registration ends on May 15, after which tuition increases to $310. To learn more about us, or to stay in touch with our students and staff, visit our blog at summerexcitement.com, or search for us on Facebook under “Summer Excitement.” Also, you can get a taste of what a week on campus is like by checking out our Youtube videos here, at http://www.youtube.com/watch?v=3FmI3xcLUWI. For more detailed information, or to request copies of our brochure, please email our director, Jason Moore, at jason.summerexcitement@yahoo.com. THIS PLACE GONNA COME ALIVE!!!!!!!!!!!!!!!!!!!! !